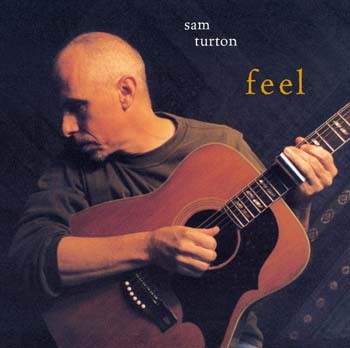 Sam's newest CD is a roots-blues-gospel gumbo packed with slide guitar, emotive lyrics, and soul-fired harmony. 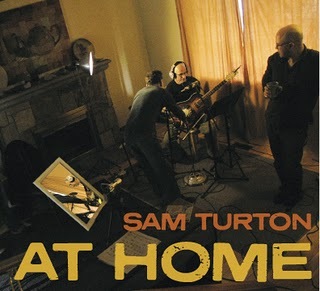 Recorded at the Turton-Lewis homestead, with guitar and piano in the living room, drums in the dining room, bass in the front hall, accordion in the kitchen, singers in the upstairs hallway, tube compressors in the office, savoury soup on the stove, and wires winding everywhere, AT HOME is a living testament to real music. Sam's debut solo CD consists of twelve original songs that illustrate the central theme—a vibrant, primal, fully feeling way of life. In a society that leans more and more towards a restless and superficial lifestyle of distraction, entertainment, and consumption, feel speaks of deeper, rooted connections within us and with those around us. 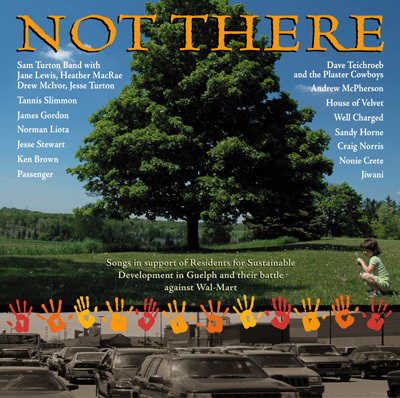 Sam produced the concept album Not There to raise awareness and funds for the legal battle against Wal-Mart in Guelph, Ontario. 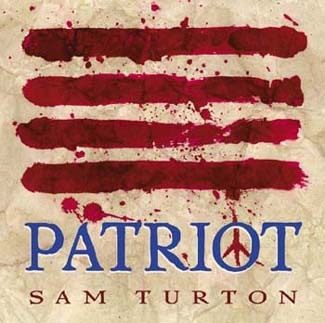 The title track, written by Sam, features 17 musicians, and 12 lead singers. The CD includes songs by Ken Brown, Nonie Crete, James Gordon, Sandy Horne, House of Velvet, Jiwani, Norman Liota, Andrew McPherson, Passenger, Tannis Slimmon, Jesse Stewart, Dave Teichroeb, Sam Turton, and Well Charged. For song clips, CDs, lyrics, commentary, press, and more, click here. "We Got To Get Back Home" is a gospel/blues single in protest against Canada's military involvement in Afghanistan. It was written and recorded as part of a 3-CD compilation called Afghanistan - On Guard for Thee? produced by Lewis Melville and Dave Clark. A rousing anti-Bush single. When citizens of a democracy believe that their present government is detrimental to their life and country, it is patriotic to affect change by dissent and democratic process.